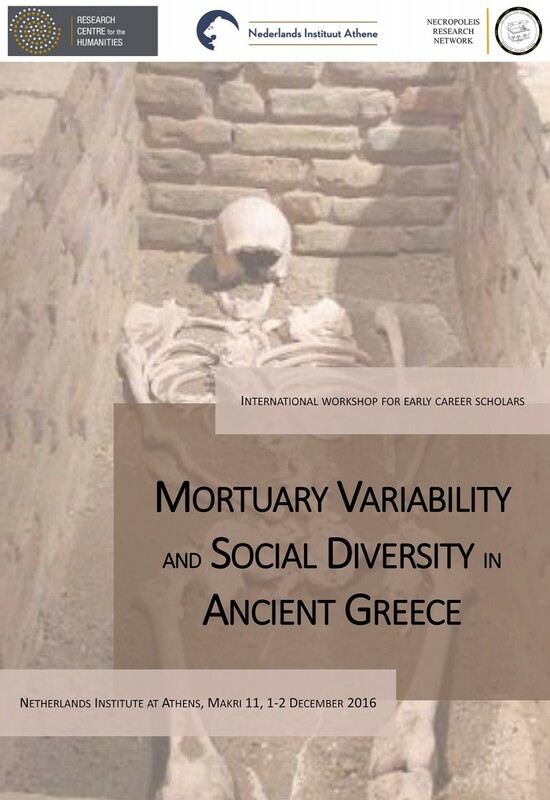 Registration is now open for the international workshop "Mortuary Variability and Social Diversity in Ancient Greece". Even though identity and social status may undergo major changes at the time of death, by studying funerary customs we can greatly gain in the understanding of a community’s social structure, the distribution of wealth and property, and the degree of flexibility or divisiveness in the apportionment of power. With its great regional diversity and variety of community forms and networks, ancient Greece offers a unique context for exploring, through the burial evidence, how communities developed. This international workshop brings together early career scholars working on funerary customs in Greece of the Early Iron Age to the Late Roman periods. They present thematic and interdisciplinary ways of analysis (e.g. temporal, regional, intra- or inter-regional, local, structural) in which funerary contexts provide insights on individuals, social groups and communities. The workshop will address various themes, including whether the placement of the dead in the landscape is indicative of issues of territoriality, how the social role of particular groups of people (e.g. children, women, the elderly, elite or non-elite individuals) can be reconstructed from the way in which these roles are expressed or negotiated through the funerary context, and the impact that major historical phenomena (e.g. war, famine, urbanization, synoecism) may have had on the way individuals or specific groups of individuals treated their dead. The conference is organized by Dr. Nikolas Dimakis, within the frame of a postdoctoral fellowship by the Research Center for the Humanities (RCH, www.rchumanities.gr) for 2016, in collaboration with Tamara Dijkstra (PhD Candidate, University of Groningen), the Netherlands Institute at Athens (NIA, www.nia.gr) and the Necropoleis Research Network.